In the years since his death, the Protestant theologian Dietrich Bonhoeffer has become widely known as one of the few Christian martyrs in a history otherwise stained by Christian complicity with Nazism. Executed in the Flossenburg concentration camp for his role in the resistance against Hitler, Bondholder’s letters and theological works still influence Christians throughout the world. He wrote The Cost of Discipleship, and authored an incomplete work simply known as “Ethics“. His “Letters and Papers from Prison” were published posthumously. He reflected deeply on the existence of Christianity vis-a-vis the remainder of humanity and considered the moral, ethical life to be utterly at risk. Either Christians risk themselves or the Gates of very Heaven shut to humanity forever. Bonhoeffer could not surrender his Christian faith. As the Jewish theologians must consider the meaning and continuity of covenant in the light of the Holocaust, so too, Bonhoeffer reflected on “religionless Christianity” and how Christians may continue to live their faith in face of such an horrendous moral collapse. Is it a faith without the trappings of ritual, dogma and Church (which had failed to stand opposed to Fascism and proclaim the Gospel value of “all are welcome in the Kingdom of God“). Religionless Christianity is a challenge the Church plainly admits it is still trying to understand. Bonhoeffer is now recognised as one of the architects of the resistance. Paula Bonhoeffer chose to educate her children in their early years at home, observing that “Germans have their backbones broken twice in life: first in the schools, secondly in the military.” Her emphasis on a strong moral and intellectual character was shared throughout the Bonhoeffer family. This became evident in the tragic aftermath of the failed attempt to kill Adolf Hitler, when four members of the immediate family were executed: two sons (Dietrich and Klaus) and two sons-in-law (Hans von Dohnanyi and Riger Schleicher). From the beginning, Bonhoeffer’s interests took him beyond the traditional realm of German academia, and his intellect and theological achievements won him early renown. He completed his studies in Tubingen and Berlin with a 1927 dissertation, Sanctorum Communio under Reinhold Seeberg. In 1928, he served as vicar in the German parish in Barcelona; in 1930, he completed his theological exams and studied at Union Seminary in New York. He also became active in the fledgling ecumenical movement, making international contacts that would prove crucial to his work in the resistance. In 1931, Bonhoeffer began teaching at the theological faculty in Berlin. In particular, a group called the Deutsch Christen (“German Christians”) became the voice of Nazi ideology within the Evangelical Church, even advocating the removal of the Old Testament from the Bible. In the summer of 1933, citing the state Aryan laws that barred all “non-Aryans” from the civil service, the Deutsch Christen proposed a church “Aryan paragraph” to prevent “non-Aryans” from becoming ministers or religious teachers. The ensuing controversy almost split the German Evangelical Church. Despite widespread anti-Semitism and enthusiasm for Nazism, most church leaders steadfastly supported the “Judenmission”—the evangelization, conversion and baptism of Jews. But the Deutsch Christen were already claiming that Jews, as a “separate race,” could not become members of an “Aryan” German church even through baptism—a clear repudiation of the validity of Gospel teachings. Protestant opposition to the Aryan paragraph, then, was not based upon disagreement with Nazi racial policies, but upon an important element of Christian doctrine. Nonetheless, the issue led church leaders into a public debate about one of the most crucial aspects of Nazi ideology. In this initial battle to retain church independence, most church leaders avoided the deeper issue: that the civil rights of all German Jews had been attacked. Indeed, many who opposed the Church’s Aryan paragraph otherwise supported the regime’s restrictions on German Jews. 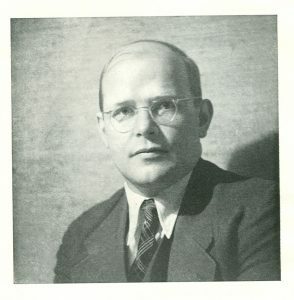 Bonhoeffer bitterly opposed the Aryan paragraph, arguing that its ratification surrendered Christian precepts to political ideology. If “non-Aryans” were banned from the ministry, he argued, then their colleagues should resign in solidarity, even if this meant the establishment of a new church—a “confessing” church that would remain free of Nazi influence. This was a minority view; most German bishops wanted to avoid antagonising the Nazi regime and to keep their regional churches together. The strongest opponents of Nazi interference in the churches, including Dietrich Bonhoeffer, eventually did form the ‘Confessing Church’. But, while some Confessing Christians moved toward open resistance against the regime, more moderate Protestants (inside and outside the Confessing Church) made what they saw as necessary compromises. As the Nazi dictatorship tightened its hold, the Confessing Church itself became paralysed. Bonhoeffer had realised immediately the importance of informing the international Christian community about what was occurring within Nazi Germany. Within the German Evangelical Church, a power struggle began over which faction would represent the church internationally. Bonhoeffer began to send regular messages to his ecumenical friends, who—not least because of their respect for Bonhoeffer—refused to accept the official church’s version of events in Germany. Bonhoeffer escaped imprisonment by accepting the charge of two German-speaking congregations in London. While there he enabled the world Church to know what was really going on in Germany. Through Bishop Bell, then chairman of the World Alliance, which later became the World Council of Churches, he brought the ecumenical movement behind those in Germany who resisted the Nazi interference with the Church. Bonhoeffer returned to Finkenwalde and quietly continued to train young clergy in the Confessing Church. Most of his students were prevented by the official church from getting positions; their future was uncertain. Gestapo pressures culminated in the August 1937 Himmler Decree, which declared the education and examination of Confessing ministry candidates illegal. In September 1937, the Gestapo closed Finkenwalde; by November, twenty-seven of Bonhoeffer’s former students had been arrested. At the Benedictine monastery at Ettal in Bavaria, Bonhoeffer worked at drafting a new range of ethical attitudes. His writings, particularly The Cost of Discipleship, sought to work out a renewed ethical approach in a world dominated by a dimension of evil which had come with the dictators. His most important writing was an unfinished book, which is published in England simply as Ethics. In this book Bonhoeffer honours, but challenges, the old systems of Christian civilisation and seeks to reconstruct instead, a method of “being conformed with Christ”. Who am I? This or the other? Am I one person today, and tomorrow another? contemptibly woebegone weakling? Or is something within me still like a beaten army, fleeing in disorder from victory already achieved? Now he joined the conspiracy against the Nazi regime, meeting the Bishop of Chichester in neutral Sweden to discuss the overthrow, and possibly the assassination, of Hitler, and the conclusion of peace terms with the British. It was an extraordinary step for a Lutheran minister to take. He even talked of sacrificing his righteousness. He was arrested and spent the last two years of his life in prison before he was executed on 9 April 1945, just 11 days before U.S. troops liberated the Flossenberg Concentration Camp where he was held. Shortly before his arrest he had become engaged to Maria von Wedermeyer. She marked out with chalk an enclosure the size of his cell on her bedroom floor, so that she could write to him as though she were with him. through deeds, not through thoughts taking wing. will welcome your spirit with joy. freedom; then, that it might be perfected in glory, you gave it to God. now may behold thee revealed in the Lord. The letters he wrote to his friend Eberhard Bethge in those final two years were published in English translation as Letters and Papers from Prison. He speculated on the possibility of a “religionless Christianity”, out of his disgust with his own Church for failing to oppose the evils of National Socialism. He accused its leaders of being concerned only with the preservation of the Church “as though that were an end in itself. He wrote of mankind ‘come of age’, and of the need for a ‘secular holiness’. He saw that the betrayal of the faith in Germany had made the Church incapable for the moment of proclaiming the great words of redemption and salvation. Meanwhile activities must be confined to prayer and righteous action. But he believed the time would come when ‘men will once again be called so to utter the Word of God that the world will be changed and renewed by it. It will be a new language, perhaps quite non-religious but liberating and redeeming … it will be the language of a new righteousness and truth’. Bonhoeffer raised the question “What might Christianity without the trappings of religion look like?” The Death of God became the catchphrase to describe a movement started in 1960’s in England that saw a radical shift in the way some theologians perceived Christianity in the modern world. Using Dietrich Bonhoeffer’s Letters and Papers From Prison, in which he spoke of the need for a radical revision of Christianity in a secular (Godless) age, the Death of God theologians sought to reconstruct Christian belief and present it re-packaged for the modern world. In terms of the challenge to the existence of God they sought to overthrow the notion that God existed in the heavens and interacted with the world from afar (theism) but rather internalised God and made ‘Acts of God’ a human endeavour. Although many mistakenly described them as atheists they were/are in fact non-theists. From Bonhoeffer, the Death of God theologians coined the buzz-phrases, ‘Religionless Christianity’ and ‘The world come of age’. Bonhoeffer had used these terms to describe a new approach to understanding the relationship between Christianity and the modern world. People were no longer flocking to Church (an ever-increasing trend) and no longer accepted without question the ‘Divinely revealed truths’ of the necessity of belief in Jesus Christ for salvation, the Bible as the Word of God, God as creator and sustainer of the world and the supremacy of Christianity amongst the world religions (missions). Not only did they not accept but they didn’t even know what they meant any more. Thus the presupposed platforms upon which the Church had always sought to rest the gospel were no longer there. Bonhoeffer felt the Church needed to re-interpret traditional Christian beliefs and present them afresh to the modern person. Religionless Christianity describes this new approach of moving away from traditional forms of Christian expression (but not beyond the Christian faith). The Death of God theologians recognised the same needs in then contemporary England as Bonhoeffer had in 1930’s and 1940’s Germany. To many people belief in God and going to Church was out-of-date, irrelevant and they saw no need for either of them (except to solemnise and ritualise births, death and marriage). Doubtless the “Death of God” theologians claim Bonhoeffer as theirs. Bonhoeffer, however, in his life, writings and protest against the excesses of Nazism vis-a-vis European Jewry, embodies the true purpose of the Protestant Church, which is the spirit of protest against excesses and wrongs. Protestantism was born as a protest against the excesses of the Roman Church in control of the life of the believer, how the church raised money, and its defective philosophy and theology of faith and works. The word “Protestants” was applied in political circles to the Lutheran signatories of the Protest made at the Diet of Speyer, 19 April 1529, against the annulment of that decision of the Diet of 1526 by which, until a church council should meet, the governments of individual states were to regulate spiritual affairs. The term was applied to Lutherans in general, and finally to all adherents of the Reformation. Now, Bonhoeffer has turned the tide against that regulation of the affairs of the Church and challenged it effectively where the civil government called the church to deny the Gospel truths of Jesus Christ. Jesus was a Jew and Bonhoeffer was not going to have anything to do with any aryan notion that the Jews were imperfect and blemished and therefore not deserving to live, for Jesus was a Jew. To do so was to invalidate the gospel message of Jesus the Christ. Bonhoeffer was not going to let that go. Greater love hath no man than he lay down his life for his fellow man.